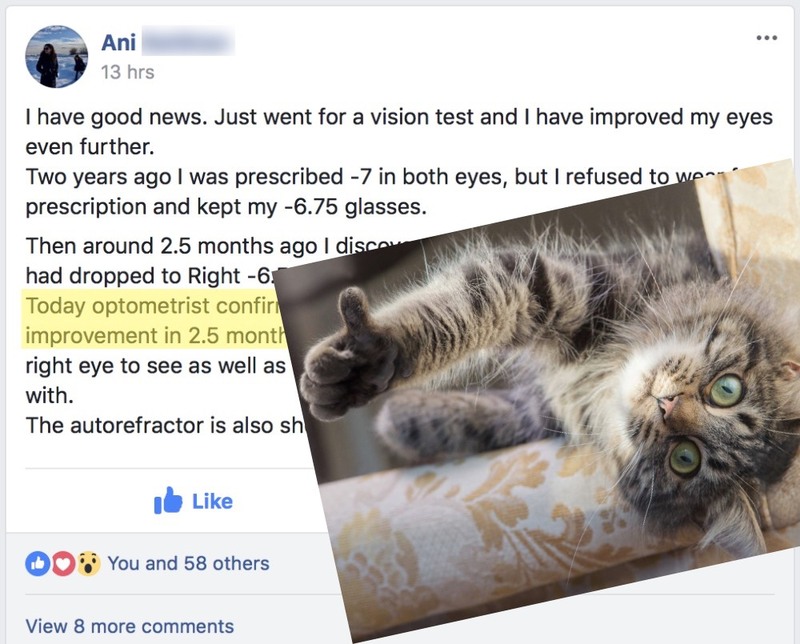 Let’s add another eyesight improvement progress report to the blog, Facebook member written, optometrist confirmed, ticking all the boxes. 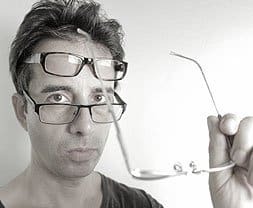 Note as always that I am not suggesting that you need the optometrist to tell you that you’re on the right track with your vision. 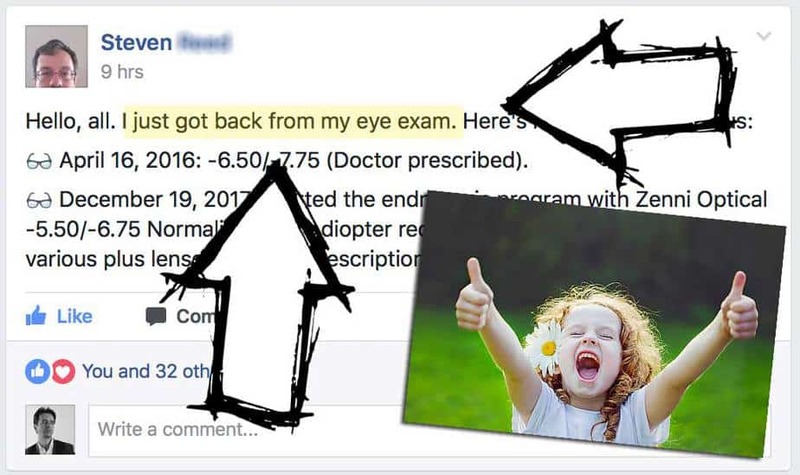 You can put up an eye chart on your own, you can have your own test lens kit, you can measure your own centimeters. 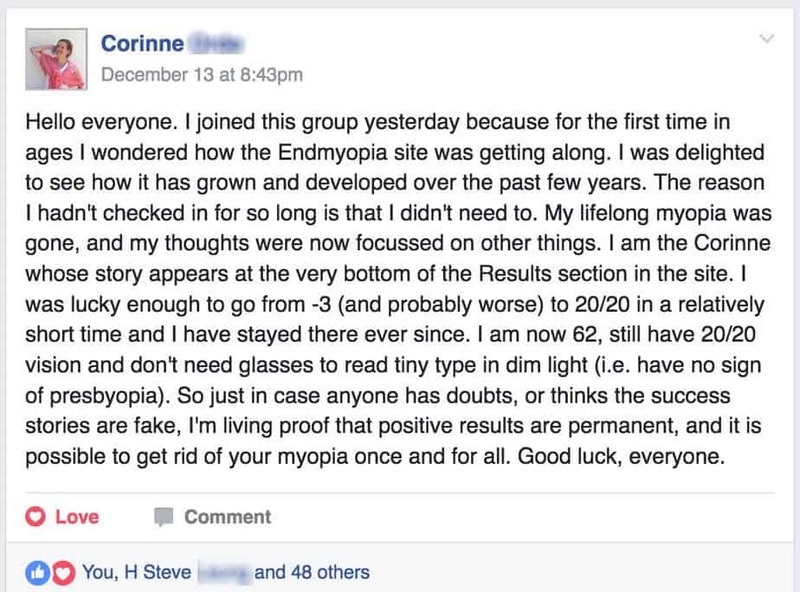 The numbers don’t lie, and measuring myopia is nothing more than measuring distance to blur. How hard is that, really. 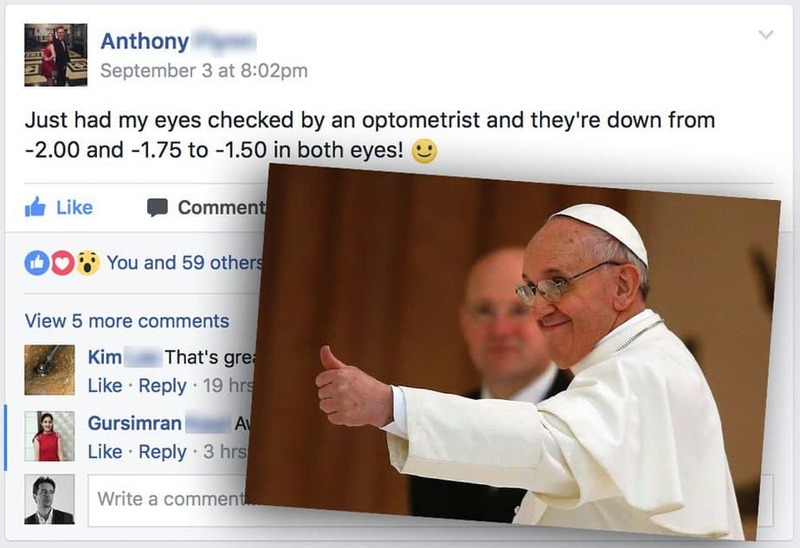 Of course you should go see an ophthalmologist for regular checkups, reversing your myopia doesn’t make you an expert in all things vision biology. Prevention is still a good idea, modern medicine is pretty good at catching symptoms, don’t turn into a hippie just over your 20/20 gains. 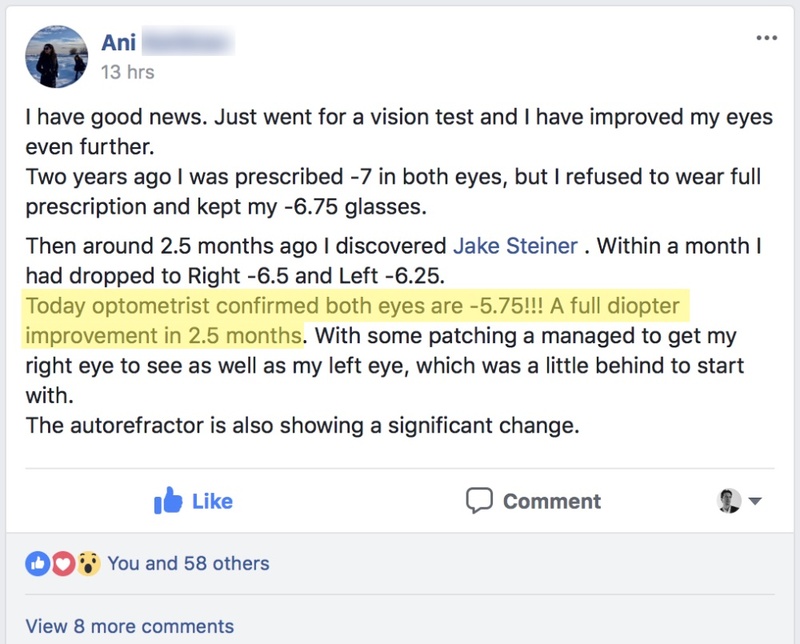 A full diopter in 2.5 months, pretty good. 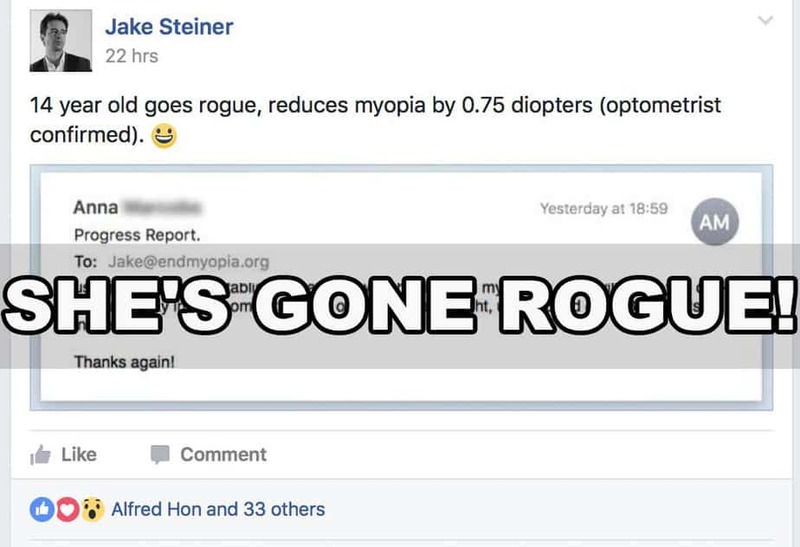 Also of course remember a lot of the rapid gains are ciliary spasm and overcorrection, so don’t go running out imagining that your darling eye guru can part the oceans. 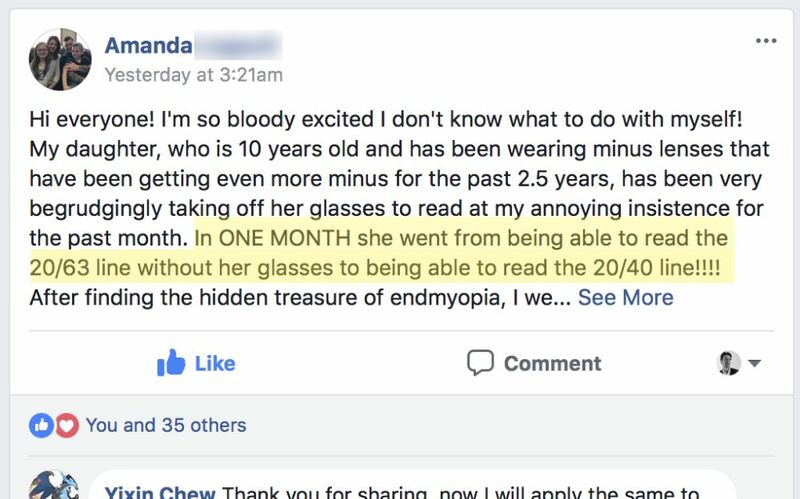 It’s still going to take time to improve your eyesight, steady progress and good habits is what you really want.